Mister Global 2018 will kick off this week as 40 contestants from around the world make their way to the Kingdom of Smile. The delegates will arrive in Thailand on July 12 for pre-pageant on-location filming and rehearsals. The Como Metropolitan Bangkok Hotel will be the official residence of the Mister Global 2018 Competition. All contestants, judges, members of the media and guests will receive a warm welcome and enjoy the hotel's renowned hospitality. The fifth edition of this fast growing competition is being organized by Debut Co Ltd and supported by the Tourism Authority of Thailand. The Mister Global World 2018 Final will be held on July 21 at The Stage at Asiatique the Riverfront in Bangkok, Thailand. 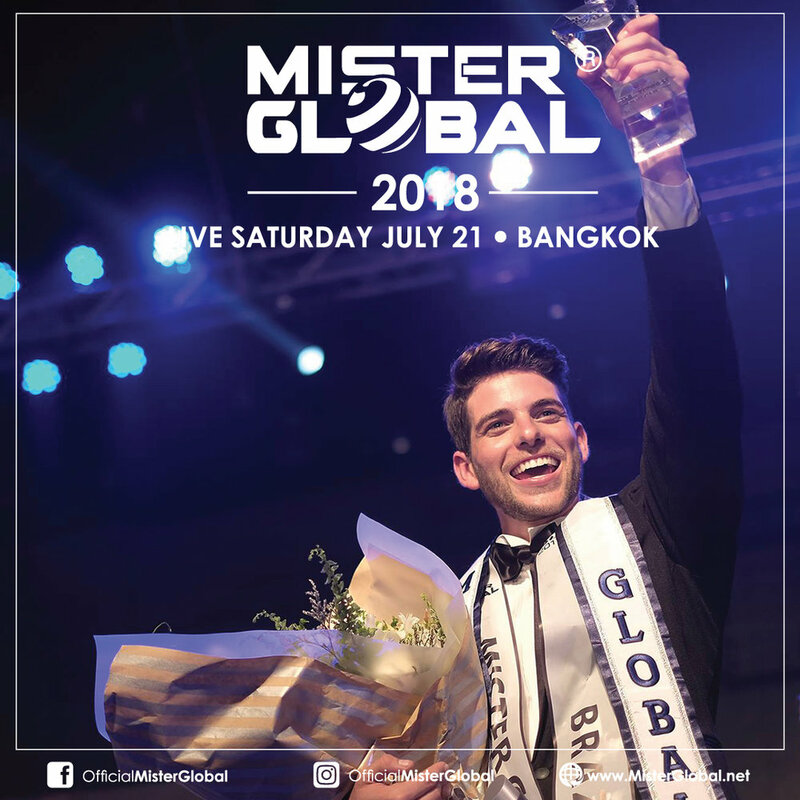 For our Thai television audience, the Mister Global World Final will be broadcast live on Saturday, July 21 at 20.30 (Local Time) on TV 5 HD1 and Line TV. Our global audience can witness all the action on our international broadcaster, TGN (Thai TV Global Network), which reaches over 500 million viewers in over 170 countries across. (Please check your local cable operator for details). Mister Global 2017, Pedro Gicca from Brazil will crown his successor as the brand new Mister Global 2018 during the world final.